Here’s an interesting fact: In March 2002, President Bush nominated Carmona to become the 17th Surgeon General of the United States. 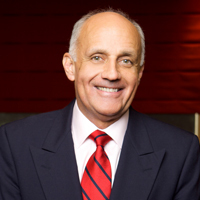 On Oct 28, 2013, Herbalife Announces Appointment of Dr. Richard H. Carmona To Board Of Directors. Our CEO, Michael O Johnson told us that when he came to visit, he told Michael that what we do at Herbalife is what he wanted to do as Surgeon General. That speaks pretty LOUD! Have you heard of Herbalife? If not….contact me for a FREE Wellness Evaluation! Previous Previous post: Disturbing levels of HEART DRUGS found in drinking water. Next Next post: Why Is It So Hard To Lose Weight?